Coloring book reviews, colored art pages, and art product recommendations. Shoe Lovers REJOICE!! 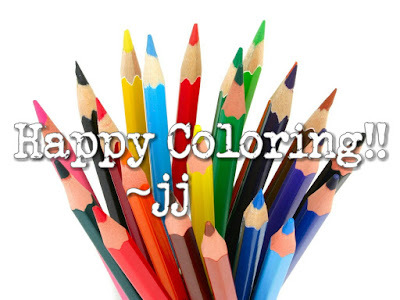 A coloring book just for you! As a shoe hoarder lover, Shoe-dles by Patricia Burke was on my must-have list the moment I heard about it! From page to page, you feel like you're shopping for shoes - and let's face it, for us shoe addicts, that's a ton of fun! This collection of shoes is like a museum. You see the old Victorian-style lace up boot, the classic Mary Janes, the summer favorite - flip-flops - and everything in between. There are highly glamorous styles, simple and modern styles, and even some wildly crazy styles that make my feet ache just looking at them! 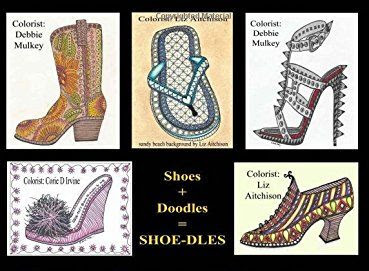 The doodle art in each shoe is consistent throughout the entire design, so it's truly relaxing to color these with their repetitive lines. I couldn't choose a favorite to color first, so I had the boyfriend choose. He literally just opened the book to a random page and handed it back to me. The result of that highly sophisticated system of choosing just the right picture is attached below. It was SO fun to color! I imagined all the different places I would wear these, and thought about shoes of my own that were somewhat similar to these in the past. Now I wish I owned this very shoe and its mate! The single-sided pages in this book are medium weight, so, use a blotter sheet or plastic beneath each page if you use a wet medium such as markers or watercolors. 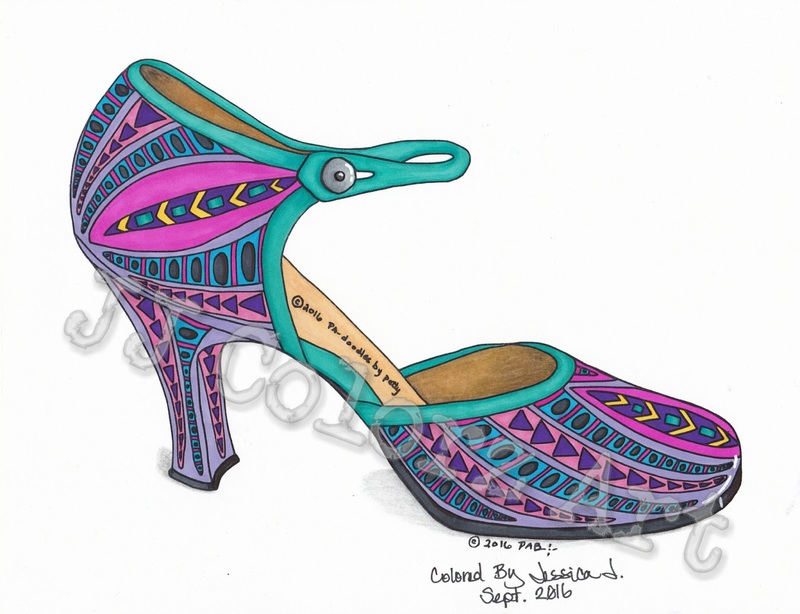 The 32 designs range from fairly easy to more detailed and complex, giving everyone something to color. There is lots of white/empty space surrounding each shoe, so the more artistic person can easily add their own doodles or backgrounds if they so please. Overall, this is a fantastic book for any shoe-lover. This would make an excellent gift for any shoe fanatic. 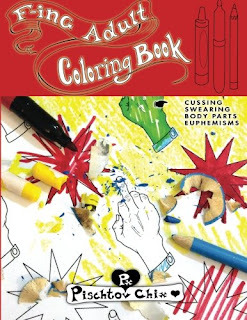 Just pick up this book and a box of colored pencils, and BOOM: the perfect gift! *Note: This site contains affiliate links. Using these links to purchase items does not affect the user experience or product prices. Please refer to Amazon.com Affiliate Program for details. Most people in America will remember the "Ferguson Unrest," a series of protests and riots that began following the fatal shooting of Michael Brown by police officer Darren Wilson on August 9, 2014 in Ferguson, Missouri. Amidst the peaceful protests were violent riots and looting, in which many area businesses were lost. These businesses and buildings closed their doors, boarded up the broken windows, and left the area. In February, 2015, hundreds of artists and volunteers banded together in a community effort to turn these boarded up windows and buildings into works of art with messages of hope, peace, and healing for the city of Ferguson and St. Louis. 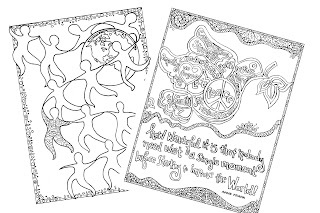 From these works of art, author Carol Swartout Klein created a children's book, as well as this coloring book for adults and children to color together. 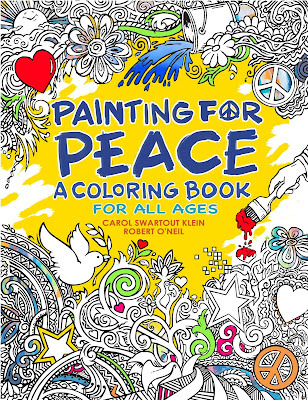 Until now, I've never found a coloring book that is as fun, meaningful, and helpful as Painting for Peace. The images and quotes in this book - as well as the back story - speak to you from a place of desperation and peace, and it truly feels GOOD to color the images to bring them to life. I was approached by the Painting For Peace team to review this book, and was provided a copy of it along with some great information about the entire project. I can honestly say that in all the time I've been doing coloring book reviews, this has been the most meaningful project for me. I'm almost struggling to find words to describe my feelings about it, because it reaches so deep. This book truly touches the soul, regardless if you have any connection to the Ferguson, MO area. To see people come together and create beauty from destruction - and then to share it with the rest of the world - is simply wonderful. 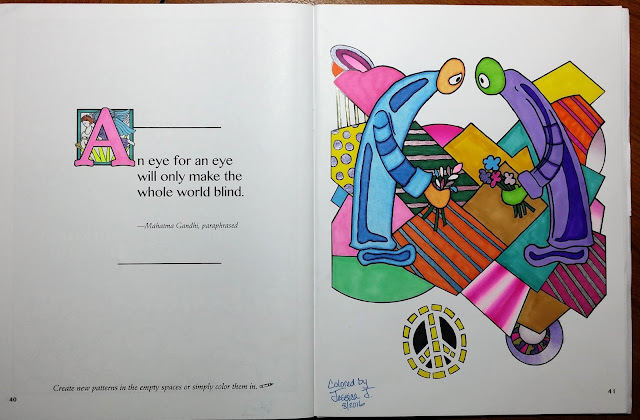 The picture I chose to color first is the "Eye for an Eye..." piece, which represents two people of different color offering flowers and peace to one another. This image speaks volumes about the way the whole world should be, and I was drawn to it for this reason. Each picture in the book has a little bit about the artist and the meaning behind it; this piece was painted in the Tower Grove neighborhood in St. Louis by Liza Fishbone and Carly Jacobs. The two figures lean toward each other to represent the Gateway Arch in St. Louis. I purposely used multiple mediums to color the page, as my own representation of multiple kinds of people all living harmoniously together. I used colored pencils, markers, and gel pens. It's also important to note that the quality of this book is far above what I expected. The paper is nice and thick, very smooth. The printing is flawless. While my markers did bleed through onto the back of the paper, it was only in areas that I went over several layers with. The paper is extremely high quality. The book is staple-bound, so you could, if you wanted, destruct the book to copy the pages onto your own card stock or paper for coloring. I already have and will continue to be recommending this book to everyone I know. I will be purchasing and giving copies of it as gifts for birthdays and holidays for folks I know who color. 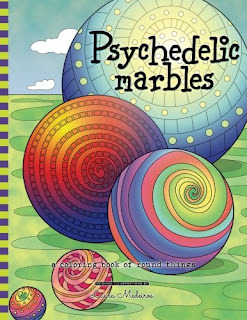 It's not limited to adults - children will certainly enjoy the fun images in this book as well, and there's so much room for extra creativity, even artists can enjoy adding their own details and adornments to the pages. I am so happy to have had the opportunity to review this book, and am proud to be but a tiny part of this wonderful project. It is my hope that by sharing this review, more people will reach for this book and learn about this project. 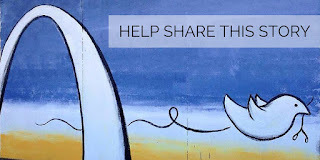 Click to visit the P4P website! You can purchase the children's book and the coloring book on Amazon. Since I've dived into making flip-through videos, some of my artist friends have requested that I make videos for their books. I was absolutely THRILLED to do videos of these books for Alice and Dennis Jackson because their art hold a special place in my soul. And as an added bonus, Dennis gave me permission to use some of his fantastic meditation music in the videos! Please enjoy these flip throughs, and be sure to read my detailed review of these books HERE. Feel free to subscribe to my YouTube channel to keep up with all of my coloring book and product review videos! I have debated for some time on whether or not to do video reviews of coloring books or products that I receive. Many of my fellow reviewers do their reviews in this fashion, and they are really beneficial for potential buyers. You get to see the inside of the book before you buy it. So, I decided to give it a shot with a very special book that I received from a very special friend from "Down Under!" 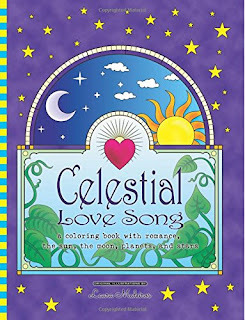 The book in this video is not currently available for sale, but the individual pictures, along with many others, are available for purchase in the "Coloring Pages" section of her website. More books and pages will be available in the near future. Watch the Color Me Forum website for details! This is a coloring I did late last night (technically today), and had so much fun with! Without knowing exactly what they were supposed to be, I colored the strange plants like radishes or beets... which seems entirely unrelated to the under-the-sea theme of the rest of the picture. 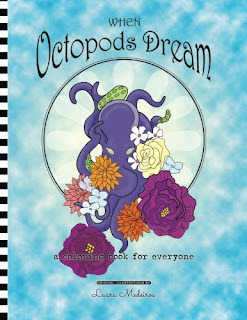 However, given the title of the book, When Octopods Dream, they could very well be vegetables! Who knows what a squid dreams about! Ms. Medeiros has created books for everyone's taste, whether it's whimsical, fantasy, abstract, or sweary! *Note: this site contains affiliate links. 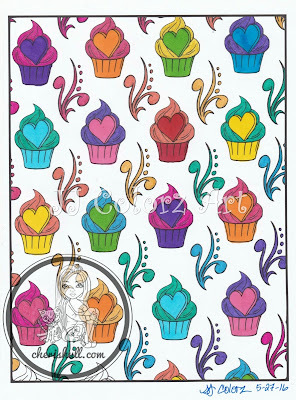 I spent small amounts of time over the past several days coloring this adorable cupcake page from artist Cheri Shull's book, Karleigh Sue's Doodle Therapy. As I was coloring, I realized just how relaxing this was. I mean, I completely got in the "zone." It's the feeling when you're doing something so relaxing, the world around you seems to disappear... problems are non-existent, time completely stops, and your only focus is the pretty colors on the paper beneath your hand. I realized that this is the reason why so many people love to color mandalas. 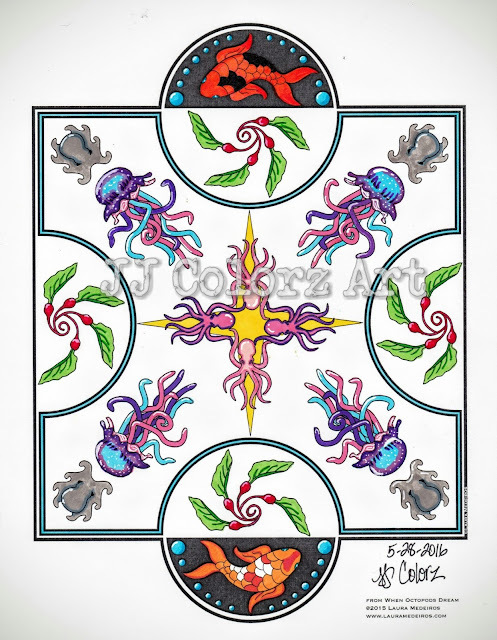 The designs on mandalas are repetitive in nature, and it's that repetitiveness that creates a zen-like feeling. Much like how monks repeat the same words or phrases over and over in their daily prayers, and they report having mystical experiences during these sessions! While I'm not an expert on the mind-body connection, I do know that the key to effective meditation is repetitiveness. Repetitively pulling your thoughts back to one single awareness, or repeating the same mantra over and over until all other thoughts are washed away brings about effective, calming meditation experiences. 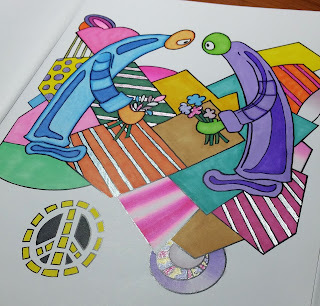 With repetitive coloring, we're essentially meditating! Or, in the very least, setting the stage for a meditative experience. 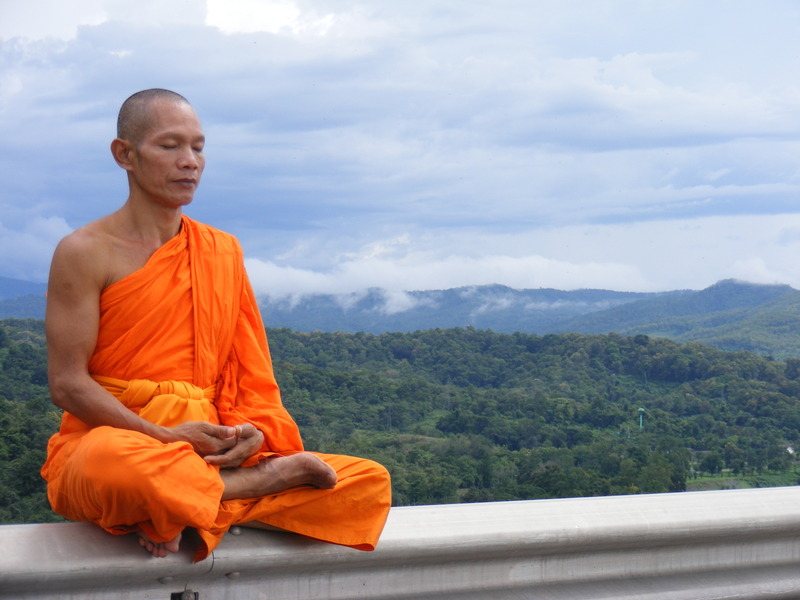 Meditation is healthy for anyone from any walk of life, and it is highly recommended by psychologists around the world. 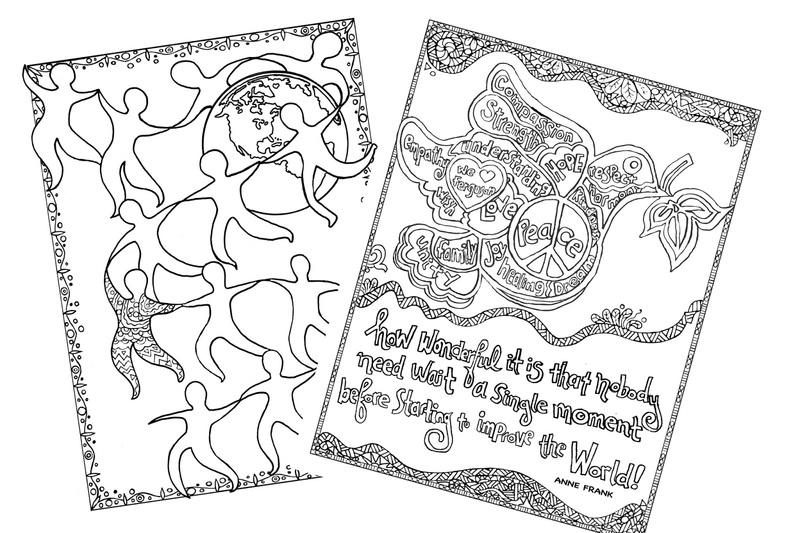 Take a moment to notice the calm, peaceful mindfulness you feel while coloring repetitive pictures and mandalas. Notice how your mind seems to be clear of any bothersome or demanding thoughts or stresses. You have achieved meditation! I encourage everyone to do a little bit of research about simple, easy ways to incorporate meditation into your daily life. It's much easier than you might think - it is not religious or spiritual (unless you want it to be), it doesn't require you to follow any sort of uncomfortable schedule or regimen, and you don't have to sit in weird yoga positions while you do it! And best of all, you can do it ANY TIME. It's an exercise of the mind, and you are in total control! 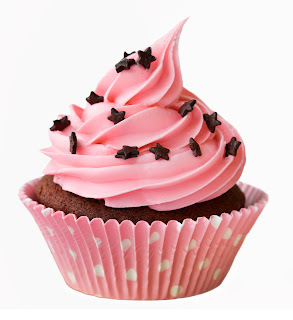 When you're done, enjoy a cupcake! You've earned it! 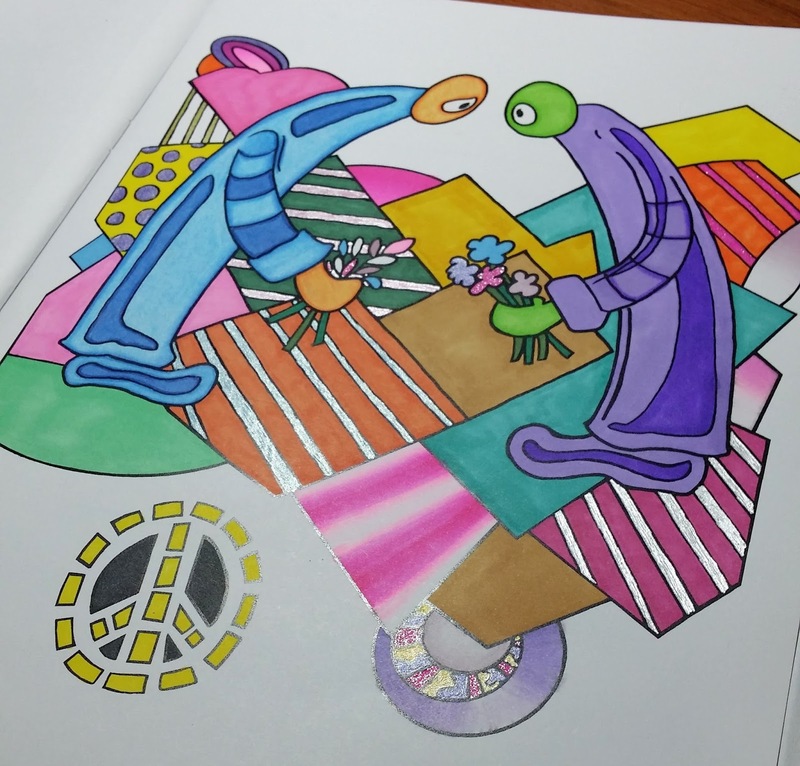 Click here to buy Karleigh Sue's Doodle Therapy coloring book! I saw this on Facebook, and it just really struck a chord with me! I couldn't have said it better. 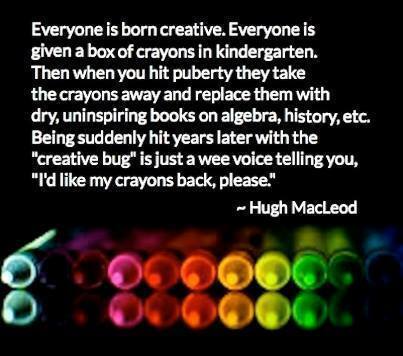 Take your crayons back and go crazy! Your new shopping addiction is right here! NOTICE: This site contains affiliate links. Clicking through these links does not affect the user experience or the product prices. For information regarding consumer endorsements and affiliate marketing disclosures, please visit the Federal Trade Commission website. Copyright JJColorzArt 2016. Awesome Inc. theme. Powered by Blogger.